EXPERIENCED IN DEEP TISSUE RELAXATION AND SPORTS. Also offering a Caribbean Massage. How can I help you? I graduated massage school in 2002 in La Habana, Cuba, and have worked extensively with the gay community. I am trained in many massage styles, and I am able to adapt to all body types applying my massage techniques. I incorporate a variety of techniques from my training in Deep Tissue, Swedish, and Sports. I can use strong pressure or lighter pressure relaxing...More according to your needs. You are the most important part of the massage, and I do my best to make you feel comfortable. Please check out the testimonials. I work on a professional table in my studio with a calming atmosphere generated through unobtrusive music and my own sense of inner peace. You will leave as relaxed as I feel when I am working on your stress. Sa: 8 a.m. - 7 p.m. Gathered by Adrian from admiring massage clients to share with you. Adrian is a great masseur. His hands made me relax right from the first minute he touched me. I have a stiff lower back and shoulder which he worked on real hard and eased the tension to the maximum possible. I was walking straight after that. I think I'm going to make it a regular affair to be massaged by him. I left Adrian a voicemail, and he replied promptly with both a voicemail and a text with availability etc... all very professional. He arrived at my hotel. I made sure to book a cozy, clean, warm, and dimly lit place and got soft relaxing music. I offered Adrian water before (and during) the massage. While he applied very firm pressure, it never hurt, and he checked in often to see if the pressure he was using was too little or too much. But it was always just right. Adrian ran over the agreed 90 minutes, so he's clearly not a clock-watcher. I felt relaxed and renewed. So thankfully, I've found my new masseur and would recommend Adrian to friends, as well. Given the time & energy Adrian puts into a massage versus his fee, he is a bargain compared with other Phoenix masseurs. Relative to other masseurs I've tried from that had plenty of 10 ratings, I would give Adrian a 15. This was my first appointment with Adrian. He was friendly and got right down to business. The massage was vigorous and soothing. He has an amazing touch and positive energy. I've had lots of massages before but he's one of the best. I'll definitely go back. Trust the Reviews! Adrian is one-of-a-kind who builds the massage session around you. He has incredibly smooth and soothing hands, a warm and gregarious personality that creates a memorable bodywork session, has strength to take charge and sooth an aching body, and an intellect that is totally engaging. I knew within the first two minutes that the massage session was going to be outstanding...and it was! This was one of the best massages I have had. First of all, Adrian makes you feel super comfortable immediately and provides excellent service in regards to checking in with you before the session begins. 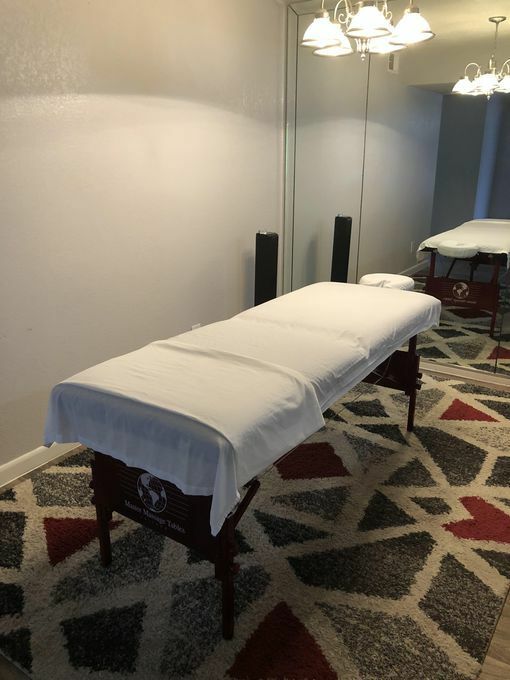 At the start of the massage, he ensures that he really feels out your body allowing himself to familiarize his hands as well as assuring the pressure. As you gently fall asleep, like I did, your muscles travel to a place of bliss as all the stress from the outside world simply melts away. I felt fantastic afterwards and, I hope that you try Adrian out. I give the highest recommendation- you won't be disappointed. My massage with Adrian was to say the least, exceptional. He accommodated a same day short notice session. He arrived promptly and made me feel at ease. His knowledge of technique and pressure was fantastic. He worked out knots and kinks I didn't even know I had. It was truly one of the best massages I've ever had. I will definitely book another session when I am back in town. One of the best massages I have ever had. Nice guy too. He definitely is talented, experienced, and intuitive. I would hire Adrian again. He made me feel very easy and comfortable. His hands and technique is like none else. I'm glad to have someone to pick as my massage therapist. He was great in every way. I'm so happy I found Adrian, I have been using massage therapists in Phoenix for the last 15 years, and 6 months with him. I am super picky what it comes to massages. I must have to say Adrian is the one. He is extremely Professional, Charismatic, Hard Worker, and knowledgeable about what he is doing. He uses the right pressure with me, He makes you feel at ease from moment one. I go twice a week. I highly recommend Him! Thank You Adrian!! That's right. The best massage. You book here and get the best massage in the whole place. I had traveled all morning and was all in knots He was great the massage was unbelievable the whole time was great! I get massages frequently after exercise, so I appreciate a masseur who knows what he's doing. 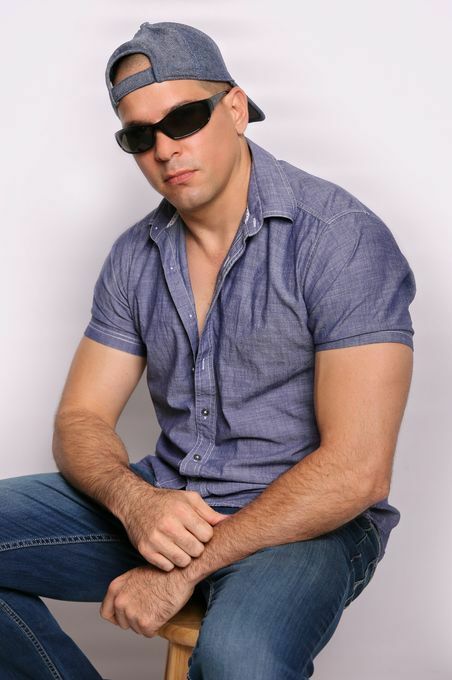 With Adrian you get someone who is not only a truly gifted masseur, but he is also charming. The massage was amazing. Throughout the massage he checked in with me as to how. I was feeling and whether the pressure was ok. He's conversant on many topics, traveled extensively and has a terrific Cuban sense of humor. His studio is beautiful which only added to the pleasant experience. I left feeling better than I had in a long time. Thank you Adrian. I'll be seeing you soon again.